Anyone have a flag pole to sell to “someone” in Virginia? Whatever happened to all that fuss about Washington and Lee? Mighty quiet in Lexington these days. 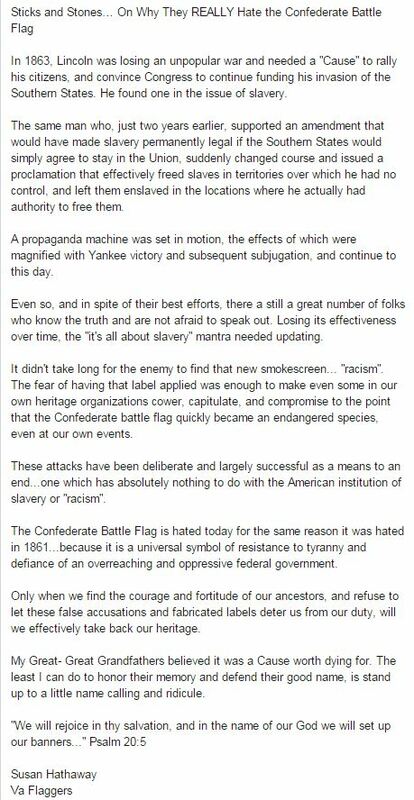 A reminder that the dust-up about Black Confederates has been going on for a while.